My first taster of a Disney water park came when I was a child and had been whisked away during the holidays to ‘do Disney’. I was so excited because visiting Disneyworld is a dream come true at any age, but especially as a child when Belle is your heroine and Scar is your mortal enemy. From the moment I was told we were going I could not wait. Although, I’m certain that I wasn’t entirely sure what ‘Disneyworld’ was exactly. Was it a castle? Was it where all of the characters from my childhood existed? Was it the flying Dumbos and a parade? I wasn’t quite sure, but one thing I was sure of was that I needed to experience it. Once we had arrived and visited a couple of the parks, it was quite clear that it really was a world of Disney. So much to explore, so many famous faces to meet and two incredible water parks. I absolutely adored all of the parks, but the water parks were firmly cemented in my memory. Right up there with the castle and the giant Epcot golf ball was the shipwreck of Typhoon Lagoon saved in my memory of childhood highlights for eternity. I think it’s because we don’t have anything like it here in London that made me love the water parks so much. Don’t get me wrong, I didn’t prefer them over Magic Kingdom, but I loved my days there all the same. That’s why I wanted to make sure we visited both Disney water parks when we visited Disneyworld last April. That and I wanted to get my money’s worth after paying almost £1000 in tickets alone! The first of the water parks we snuck in a few days into our trip. For some unknown reason we opted to hit up Blizzard Beach first and I couldn’t wait to park myself in a doughnut and roll around the lazy river whilst devouring that gorgeous Floridian sunshine, so as soon as we arrived we whipped off our clothes and got straight in (well, we actually waited for our pals to arrive and messed around in the wave pool for a bit first, but you get the picture). 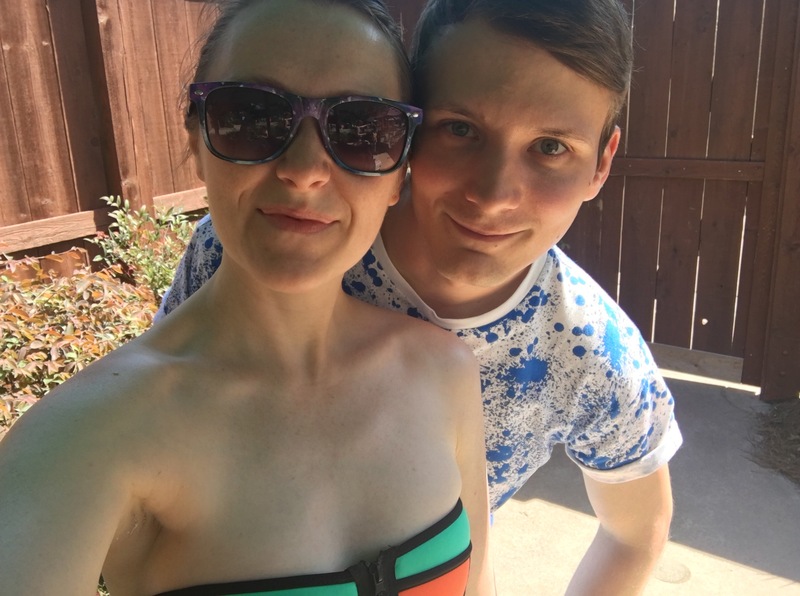 I had forgotten just how much fun water parks are and we had an absolute blast racing down water slides and floating around in various inflatable objects. I think in every adult there is a little bit of fun and Disney sure know how to encourage you to unleash it. 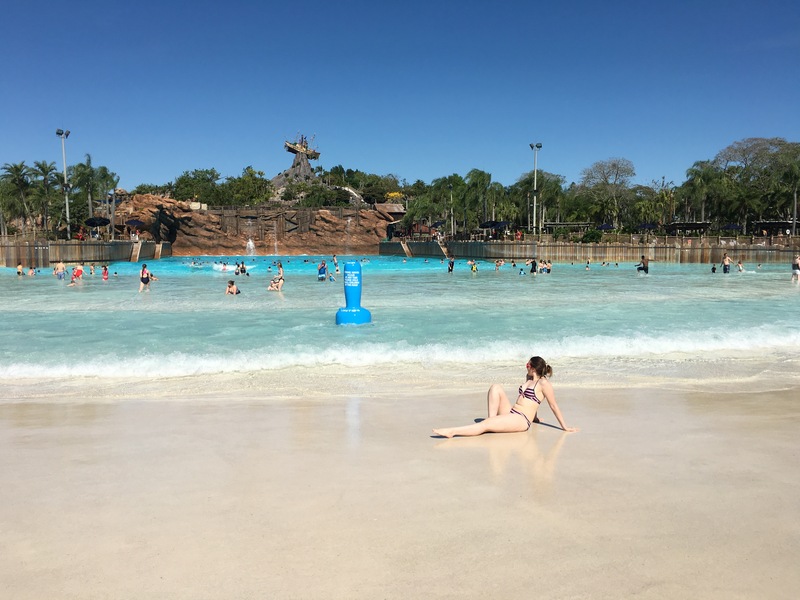 The second water park that we visited was Typhoon Lagoon, the one that made it into my childhood memory favourites list. I’ve got to admit I was a bit worried about a couple of things. 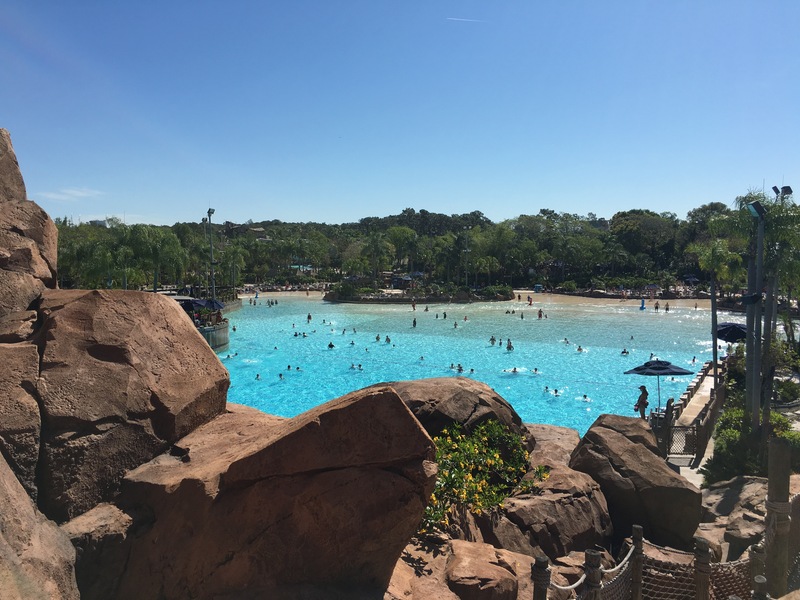 Firstly that my memory had let me down and it would actually be a bit pants and secondly that because we had such a blast at Blizzard Beach, our expectations were high and we ran the risk of being disappointed. 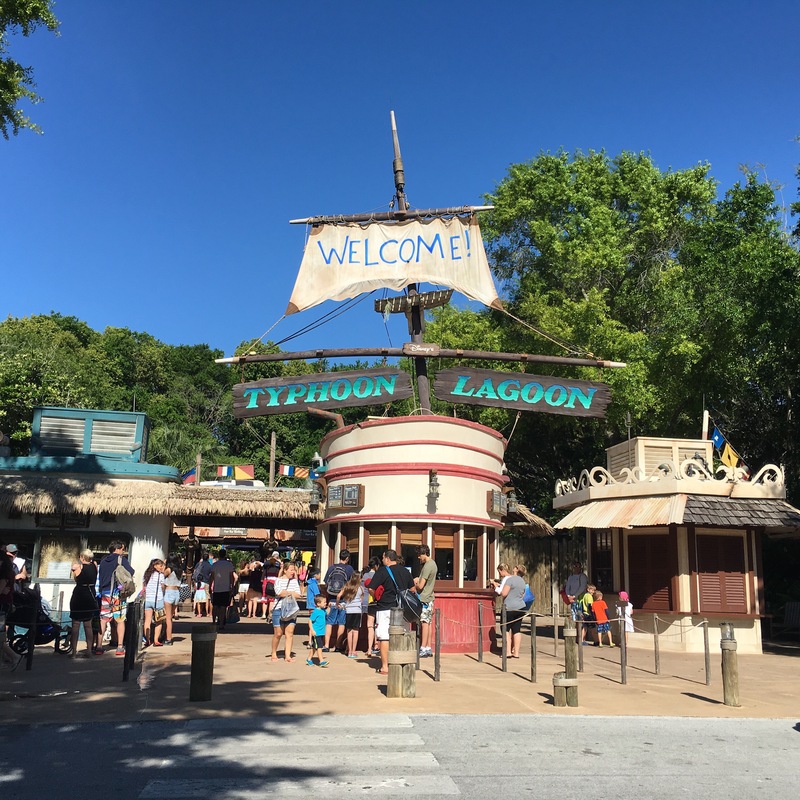 Let me assure you that was not the case and we had an even better time at Typhoon Lagoon! Who knew?! There are so many good things about Typhoon Lagoon, from its epic wave pool with the sound of the water crashing echoing across the park like a roar from an angry T-Rex, down to the water Rollercoaster where you choose between the route of ‘Coconut Crusher’ or ‘Pineapple Plunger’ (the banana one was closed). They also have a huge drop slide (which apparently includes some sort of colonic irrigation which nobody tells you about, but gave our husbands quite a treat when they took on the slide) and a snorkelling pool where you can swim amongst a variety of fish. Typhoon Lagoon has it all. Both parks are great for a bit of fun and relaxation in the sunshine. We loved them so much and will definitely hit them up the next time we are in Florida. Have you visited the Disney Water parks?